We actually have a fair amount of news this week. 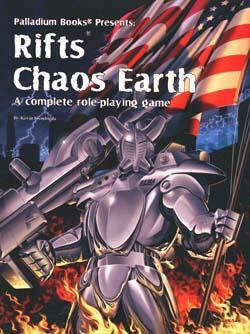 A lot of our time remained divided between trying to finish new product releases like Robotech®: Expeditionary Force Marines, Chaos Earth® Resurrection, new Robotech® RPG Tactics™ items and others, while prepping for the Palladium Open House which is only FIVE days away! On one hand, I’m excited that the Open House is next week and the place is really shaping up. I look forward to chatting, gaming and having fun with everyone who can make it. On the other hand, I wish the Open House was still two or three weeks away, because there is still so much I’d like to get done before it. Kathy and I are tired already, and I know Wayne and the guys are feeling the stress too. A number of unexpected issues cropped up to make this past week more than a little hellish. Feeling a bit chewed up and spit out, but still putting in long days and making headway. We will have at least 6-8 helpers arriving early on Wednesday, which is awesome and their help and efforts are very much appreciated, but the irony is that most of the work that has to get done for the Palladium Open House should be finished by then. I hate waiting till the last minute, especially the day before. Still, it will be nice to have the helping hand and camaraderie. A substantial part of my art collection has gone missing. Among what’s gone is a huge slice of original work from my own art career – from my high school and college days to A+Plus comic book pages, Justice Machine and Cobalt Blue colored comic pages, Game Merchant, the Detroit Gaming Center, Judges Guild, and some of the early artwork I did for Palladium Books, FASA (Traveller), Topps bubblegum cards, and other companies. Most of the missing work is from the 1970s-1980s. Other original art, prints and items are also missing (Anime cels, Robotech® stuff, FernGully animation cel on master backgrounds, A+Plus comics, books, etc. ), but it is MY ARTWORK and the artwork of my brother and friends from my youth that I want back most. This is a personal and devastating loss. I feel truly sick about this loss and I hope you can help me. I hope that by letting you – our fans – know, I’m putting thousands of eyeballs out there watching for these items to go up online or appear in comic book stores, especially in the Michigan and Ohio areas. I have friends who will keep an eye out at the Novi Motor City Comic Con, and we’ll be scanning the web on a regular basis, but having thousands of other people keeping an eye out in the weeks and months ahead only improves my chances of recovering something. I hope. I’m hoping that by letting you know about some of the most identifiable items I may be able to recover some of them. Fingers crossed. Below are some of the most identifiable missing items. Almost ANY ART by Kevin Siembieda from the 1960s-1980s – especially if it is dated before 1994 – could be some of the missing artwork. As you can see from this list, I seldom sold my original artwork, so if my art starts to spring up, it could be the missing items. Justice Machine #6 (Noble Comics) – watercolor pages on 8½ x 11 paper. These are high quality photocopies that were hand-painted in watercolor and Doctor Martin dyes by Kevin Siembieda. The color pages of the comic book were shot from these exact pages. Cobalt Blue #4 (Noble Comics) – watercolor pages on 8½ x 11 paper. These are high quality photocopies that were hand-painted in watercolor and Doctor Martin dyes by Kevin Siembieda. The color pages of the comic book were shot from these exact pages. 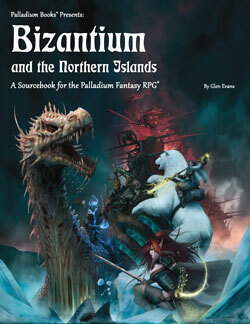 Palladium Fantasy, Rifts®, RECON, Contemporary Weapons and other Art. Could be inked or pencil. The Harlequin comic book pages from A+Plus #3 by me, Kevin Siembieda. The Last Man/Paraphernalia by me and my brother (Brian Siembieda) from A+Plus #5, and any art from other issues of A+Plus. I have NEVER sold any of my A+Plus or Fanzine art or pages. 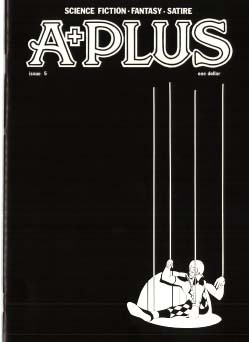 ANY AND ALL ARTWORK and PAGES FROM A+PLUS AND OTHER PUBLICATIONS. Photocopies too. Nightspawn #1 and 2 – all art and keyline/paste-up pages from my Nightspawn “fanzines” from the 1970s are gone. It includes original art by me (Kevin Siembieda), Arvell Jones, Ken Kelly (yes, “the painter” Ken Kelly), Alex Marciniszyn and others. Art and keylines from my old fanzine Megaton #1 and #2. Art and keylines from my old fanzine B.S./P.S. #1. The cover to Game Merchant #1; a dragon. Ink and pencil on coquille board. Star Trek Characters drawing – a shaded pencil drawing depicting the heads of Captain Kirk, Scotty, Uruha, and Sulu, and signed by James Duhan, Nichelle Nichols, and George Takei. Dated from the 1970s (I think 1974, 1975 or 1976). Other pencil artwork by me. 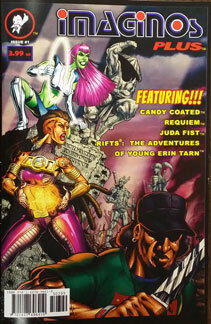 A+Plus Comic Books #2, #3, #4 and #5. A few of my remaining copies of issue #1, #2, and #3 are gone; several dozen copies of #4 are gone; and as many as 100 copies of #5 have gone missing. If you should see them suddenly appear, please let me know so I can investigate. Thanks. Painting of a vampire in a green suit by Alex Marciniszyn; a yellow moon and a flying bat are part of the painting. I think it is unsigned. Photocopies of pencil sketches for covers, concept artwork and pencil art before it was inked (Parkinson, Long, Ewell, and other artists). I recently unearthed a treasure trove of such items and had planned to use them as illustrations in a book about the history of Palladium Books. All missing. REMEMBER, almost any art by me, Kevin Siembieda, that is comic book style or from before 1994 could be some of the missing art. A Public Appeal to those Responsible – or – to anyone who might know about this: I am NOT looking to prosecute the individual or individuals responsible. I just want to get a big part of my life back! Please. I’m probably foolishly praying that perhaps the person responsible or someone who knows them will see this public appeal and find it in their heart to return these precious works to me. Just drop them off inside the Palladium office foyer. Or outside the front or side door, pound loudly and leave. NO ONE will question or hassle you! I promise. It’s not a trap. Please return these items. Our address is 39074 Webb Court, Westland, MI 48185. Failing that, please, if anyone knows anything about this matter or has seen the artwork, please contact me so that I might recover any of it. Thank you for your help. I’m sorry the above makes this Update a bit of a downer. While the missing art and items have been extremely upsetting, I’m trying to push it out of my head and focus on the Palladium Open House. Like all of you, I am looking forward to a fun-filled weekend of games, good conversation and friends. It’s next week, so I will be seeing some of you very soon. There are still tournament slots open and prizes and trophies to be won. Spread the word and join the competition. 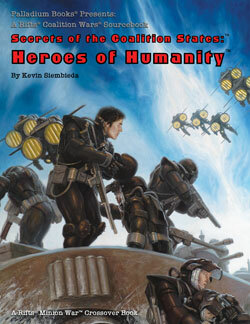 Saturday, 8:00 AM, Palladium Books, Westland. Reserve your position – call 734-721-2903, today! Destroids can battle in outer space, so bring your Destroid squads to battle the enemy in next Saturday’s tournament. Outer space “is” a playing environment in the tournament and all mecha can function in it. 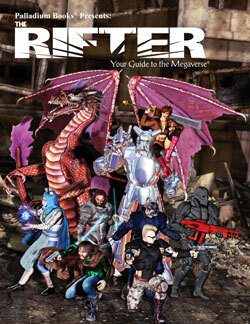 In fact, there are tournament battlefields of an asteroid, Mars Base and a gorgeous ARMD space platform. Reserve your position – call 734-721-2903, today! There are two types of Space environments to consider while building your army. First is “Space,” referring to a lack of an atmosphere. All of the effects of the Space are spelled out in the rule book (specifically with respect to Roll with Impact rules). This allows the use of Destroids as it occurs on an airless moon, asteroid, or outside a hull of a ship where the Destroids have a place to walk on. There are no movement restrictions for Destroids in this environment. Second is Space: “Zero-G.” In this environment, any Destroids (Tomahawk, Defender, Phalanx, and Spartan) that have the classification of Space Restriction may operate in Space (Zero-G) with a restriction of movement to 1 inch per turn. You may still pay command points to double movement as normal with a base movement of 1. Players still have the option to replace the Destroid squad with another unit of the same point cost or less for Space battles as stated in the tournament rules. FYI: When Chuck Walton saw the trophies in person last weekend, he said, “Wow, I wish I could get my own army painted in time for the tournament so I could enter and have a chance to win one these. Kevin, these are beautiful. I’m impressed.” And one or more could be yours! It is still not too late to sign up to play! To compete in the tournament costs $10, but there are prizes and trophies to win! 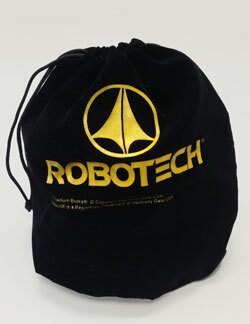 Tickets for the Robotech® RPG Tactics™ Tournament are on sale NOW. Sold on a first come, first served basis – but slots are available. Tournament Rules are available now. Note: You do not have to bring painted convoy vehicles and objective markers – unless you want to do so. They will be provided. Destroids can function in outer space! Yes, you can bring your Destroid squad to battle the enemy in space. 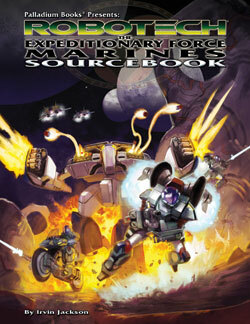 Outer space “is” a playing environment in the tournament and all mecha can function in it. Sign in Time: 7:30-8:00 A.M. Tournament starts at 8:00 A.M. and will run all day, from 8:00 A.M. to around 10:00 P.M. Awards and prizes handed out shortly after the final round. 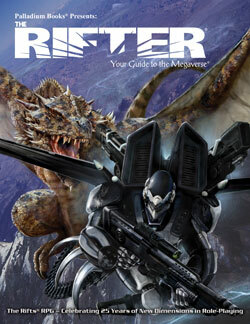 This issue is pretty epic, with more than half of The Rifter® #70 filled with “official” source material for Rifts®, Splicers® and Palladium Fantasy® written by me (Siembieda), Aten, Bingham and Sinsapaugh, and it is source material you will want to have in your library. 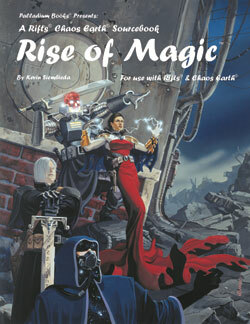 New magic, monsters, strange tales, and places to explore are always a winning combination. Available now. I made tremendous progress on Robotech® Expeditionary Force Marines this past week. All I can say is, wow. Did some work on these two titles as well, mainly some tweaks, notes and figuring out the art I need to assign and to whom. 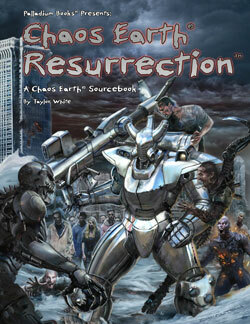 Chaos Earth® Resurrection is in full swing production with retooling, editing and art. We have never stopped working on a number of RRT items and I hope to have some exciting news to announce very soon. It’s coming. I’m a big George Romero fan, so I am intrigued that all of the first 10 comic titles are based on the zombie movie that started it all, Night of the Living Dead. The comic book lines release in August, but Double Take has just launched a Kickstarter to build excitement and get books into the hands of anyone who might want them. I’m one of those people and you may be too. I want you to know about their ambitious comic company launch, because how often does anyone get a chance to get in on the ground floor of a new company’s launch? And via the Double Take Kickstarter, collectors and stores can get all the copies of these first 10 titles they could want. I find it exciting that there is a brand new player in the comic book industry giving the “fans” an opportunity to be the first to enjoy their 10 new titles. By the way, these 10 books are just the start of something that promises to be big. I’m not sure how much I can say, but additional comic book titles dealing with a wide array of subjects will be coming from Double Take in 2016. And ex-Marvel Comics vice president Bill Jemas is one of the movers and shakers behind these first books. As a comic book collector myself, I know I’ll be making sure I get my set of comics from this bold, new publishing company. Comic book fans, speculators and fans of Palladium’s Dead Reign® and the zombie genre in general should shamble over to their Kickstarter page and check them out. Before I forget, I’d like to wish my little brother, Brian (all 6 foot, four inches of him), Happy Birthday! It was actually a couple days ago, but I wanted give him a shout out. Love you, Brian. These are exciting if hectic times for Palladium and many of our friends and associates. There have been some deep lows, some exciting highs and plenty to keep us scrambling and on the verge of insanity. A few hundred of you may get glimpses of all this at the Palladium Open House. The rest of you from Murmurs and postings from me and the rest of the Palladium crew in the weeks to come. Until then, know that we have all kinds of products coming your way, and soon. Keep those imaginations burning bright. Look, they are lining up for the Open House already!